The new Packaging Act enters into force on 1 January 2019, thus replacing the Packaging Ordinance which had been in effect prior to this date. "The new Packaging Act introduces new recycling quotas and makes an important step forward for the environment. The legislation will ensure that more valuable resources are recovered. In addition, there are financial incentives for producers to design packaging to be more recyclable, to consume fewer resources and to make more use of recyclates in production," said Maria Krautzberger, President of the German Environment Agency. "It is important that producers register quickly; otherwise, they may no longer bring their packaging into circulation on the market." The requirement to register applies to all producers of (secondary) packaging of goods that typically accumulates as waste with end consumers, but it also affects many online retailers and importers. Registration in the new Central Office Packaging Registry is meant to create a sense of greater fairness and transparency on the packaging disposal market and ensure that all producers fulfil their duties with regard to the collection and recycling of packaging waste. Producers of (secondary) packaging contained in consumer goods which typically accumulates as waste with end consumers must register with the newly established LUCID packaging registry. Should they fail to do so, they may no longer put packaging on the market after 1 January 2019. This mandatory registration also commits producers to participation in a dual (take-back) system of waste management . It is particularly important that producers make efforts to avoid unnecessary packaging whenever possible or to replace it with reusable packaging. If non-reusable packaging is unavoidable, it must be easily recyclable and contain recyclates if at all possible. The Central Office Packaging Registry and the German Environment Agency have published a guide to help producers classify their packaging. 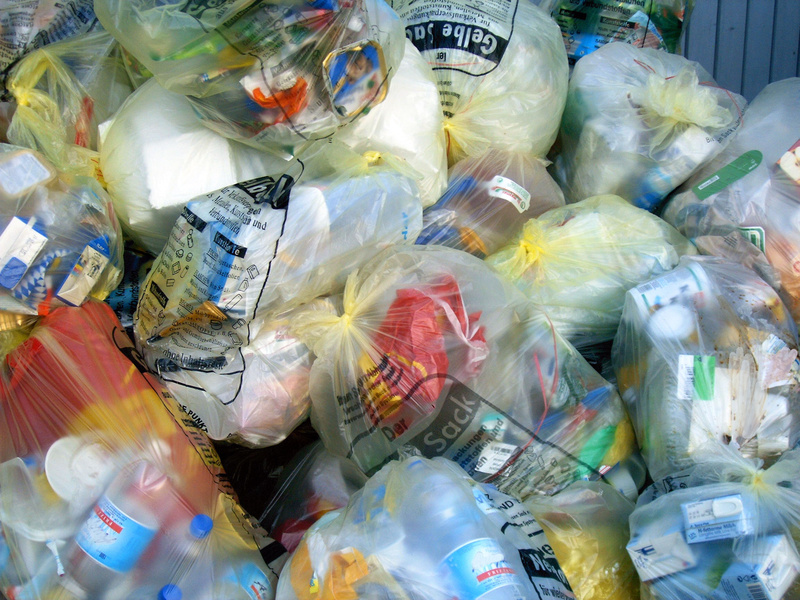 Recycling quotas have been raised considerably under the new Packaging Act. For example, the recycling quota for plastic packaging will be raised from the current 36 percent (by weight) to 58.5 percent, and increasing in a second step to 63 percent as of 2022 (mechanical recycling). More recycling is necessary to conserve valuable resources. The planning and design of new packaging must include the use of recyclates and forgo the use of any unnecessary, material-intensive packaging to prevent waste from being incurred. Dual systems of waste management will be obliged to create financial incentives to use more recyclable packaging and recyclates. Consumers can also take on their share of responsibility. "Separating waste is a job for everyone," says Maria Krautzberger, adding that "by sorting and separating our waste properly we can help to protect the environment and conserve resources." Residual waste or biowaste does not belong in the yellow bag or yellow bin and neither do electrical and electronic devices or batteries. They make it more difficult to sort and recycle packaging materials and must be disposed of properly. To go the extra mile for the environment, packaging materials should be collected separately according to type and waste should not be mixed together. Example: removing the aluminium lid from a yogurt cup and putting it in the yellow bag or bin separately makes it easier to detect and sort at the sorting facility. When different materials remain together only one material can usually be recovered. Registration is mandatory for all producers of sales packaging which typically accumulates as waste with end consumers. Sales packaging refers to the material filled with a product and which is sold as such to the consumer. It also includes service packaging that is filled in a shop and external packaging which is commonly used in shipping. Secondary packaging refers to packaging which is used to group various pre-packaged products together and is typically sold as a unit or to stock store shelves. More than 79,000 producers have already registered in the Central Office Packaging Registry. The registry allows other producers as well as consumers to verify that producers are assuming environmental responsibility for their products. The Foundation Central Office Packaging Registry is responsible for the registration of producers which are subject to being on record concerning packaging as well as other experts and verifiers. The ZSVR collects and reviews packaging and disposal data from producers and dual systems. If the data indicate any violation of the Packaging Act the ZSVR informs the federal states, which may levy a fine. The German Environment Agency will exercise legal and supervisory power over the Foundation Central Office Packaging Registry and is in charge of handling appeals against administrative decisions taken by the Central Office. It ensures the technical quality of the minimum standard for measuring the recyclability of relevant packaging, which provides an important basis for determining participation fees in the dual systems according to ecological criteria.